Go millionaire is an online trivia quiz game app available on Android platform. Go millionaire provides alluring cash rewards (direct PayTm cash) to its user. A user can earn up to Rs 1 lakh cash prizes on successful game play and by referring the app to friends. 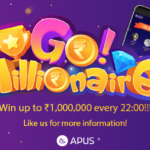 It is a very uncomplicated and basic trivia game application which is developed by Go millionaire Dev and Apus technologies. After downloading the app from google play store, when you open the app for first time it will ask you to complete a task and on successfully completing it you will be awarded with an extra life (which will be helpful while playing the quiz). After finishing the task you need to sign up on the app using either your Facebook account, Google + account or phone number (through OTP). After playing your first game you will receive RS 10 PayTm cash as a starting bonus. Download the Go Millionaire app. During signing up use the referral code 25879341 to earn an extra life along with starting bonus cash after completion of first game. 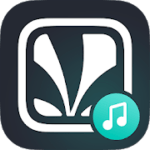 Now you can share your referral code amongst your friends and acquaintances to earn extra lives (to play continuously without any issues and earn more) and more PayTm cash. A user can earn up to Rs 70 PayTm cash per each successful referral. If your referral code is used by your friends while signing up on Go millionaire then they will receive an extra life and also cash reward after playing first game. When your friend plays the 10 PM quiz for the first time you will receive Rs 5. If your friend plays the 10 PM quiz for 7 times then then you will receive Rs 15. Finally, once your friend plays the 10 PM quiz for 15 times you will receive Rs 50 PayTm cash. So you can earn a total of Rs 70 PayTm cash from each successful referral (5+15+50 = 70). The more the successful referrals, the more you can earn so invite as many friends as possible to maximize your income on the app. There is no limit on number of invites. How to play the Quiz efficiently? Go millionaire live quiz is held two times per day – at 1:30 PM and 10 PM. You need to log into the app sharply around the stipulated time to be eligible to play the quiz. There will be 12 questions asked during the quiz and you will have to answer them correctly in under 10 seconds to advance to next question and if you answer all the 12 questions correctly then you will win the announced cash prize (up to 100,000). If you answer incorrectly at any stage of the quiz you will be eliminated from the game immediately (After answering incorrectly, you can use extra lives earned to continue playing the quiz without any hassles). You can also play by teaming up with your friends in team battle which allows you to earn more. How to double your earnings on Go millionaire? 4) By playing the Crorepati challenge You will receive one bonanza card on completing each challenge mentioned above. You need to activate the bonanza card before playing the 10 PM quiz to earn double of the amount you earned from the quiz.